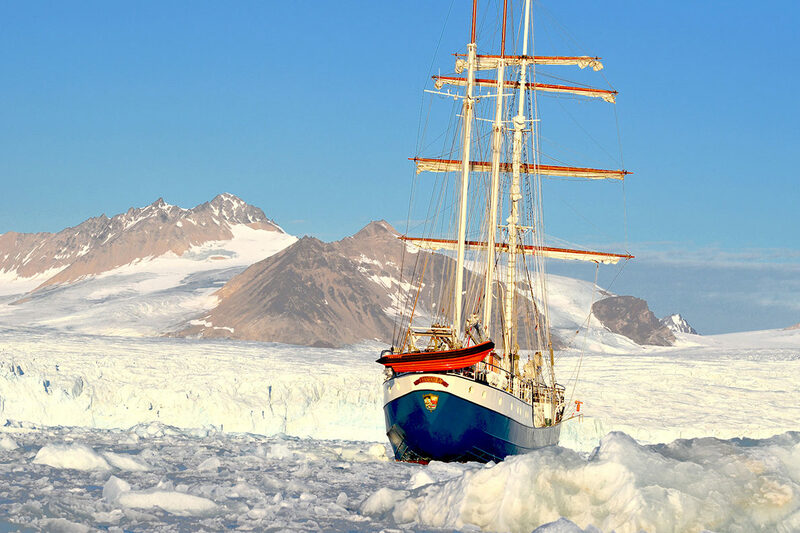 The Antigua, a traditionally rigged tall ship outfitted for sailing in the Arctic, stands moored off Svalbard. Debbie Lee, a WSU Regents professor of English and writer, traveled to Svalbard in the Arctic aboard the tall ship Antigua, as part of the Arctic Circle Artist Residency Program. Follow the journey via Lee’s photographs, and read her essay, “Arctic chronicles,” in Washington State Magazine’s Spring 2019 issue. For more photos and essay, see the Spring 2019 issue of Washington State Magazine online.